As I mentioned in my last NTT post, I've been working on another Pop Star quilt in twin size, and I just finished the top this morning. 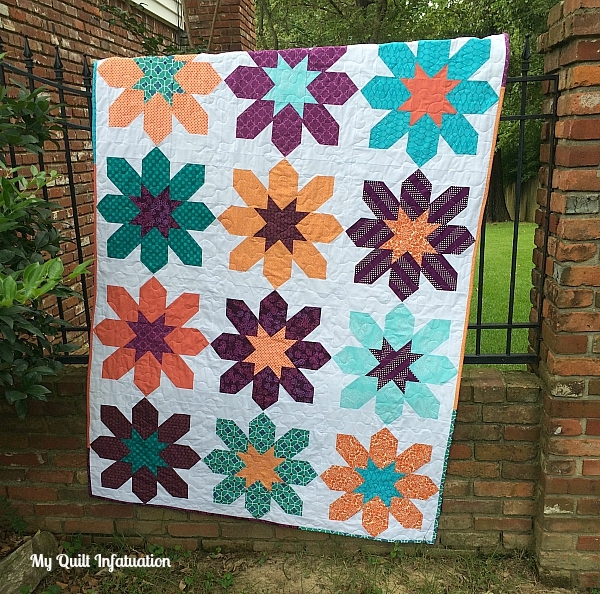 My aunt asked for this one after seeing the original, lap sized quilt I made. 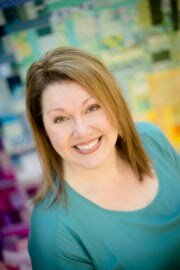 The biggest difference between the two is that she wanted the turquoise and purple to be paired with yellow instead of orange. 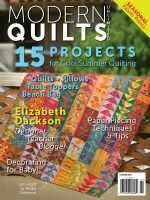 That's just fine with me, because I don't know about you, but I prefer not to make identical quilts. Even if I love the colors and pattern, making a duplicate gets a little bit tedious. This pattern really is super fun though. 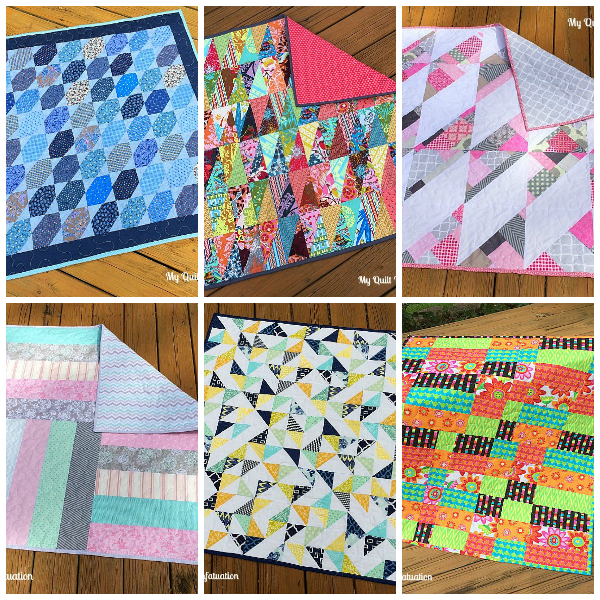 Making only 20 blocks for a twin sized quilt was awesome! It went so quickly. Gotta love 18 inch blocks! The backing for this one all is ready, so as soon as I can get everything pressed, I'll get this baby basted (ugh) and quilted! Maybe, just maybe I'll have it finished for next week's NTT- that's my goal! Welcome to NTT, friends! 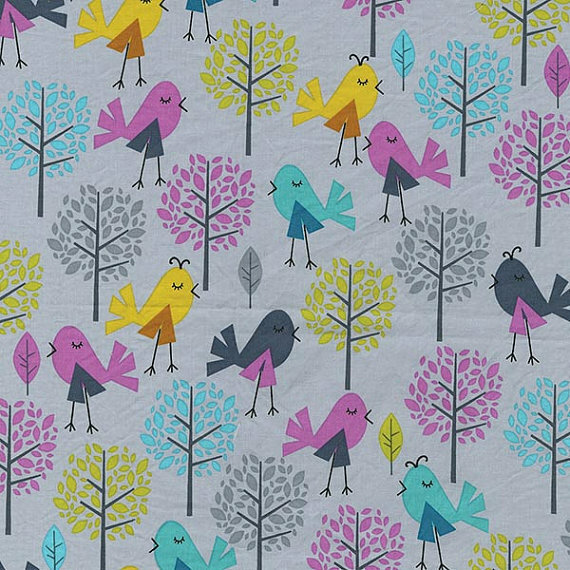 I've been working on a new quilt using a really cute and fun fabric line, but I can't show it to you just yet. 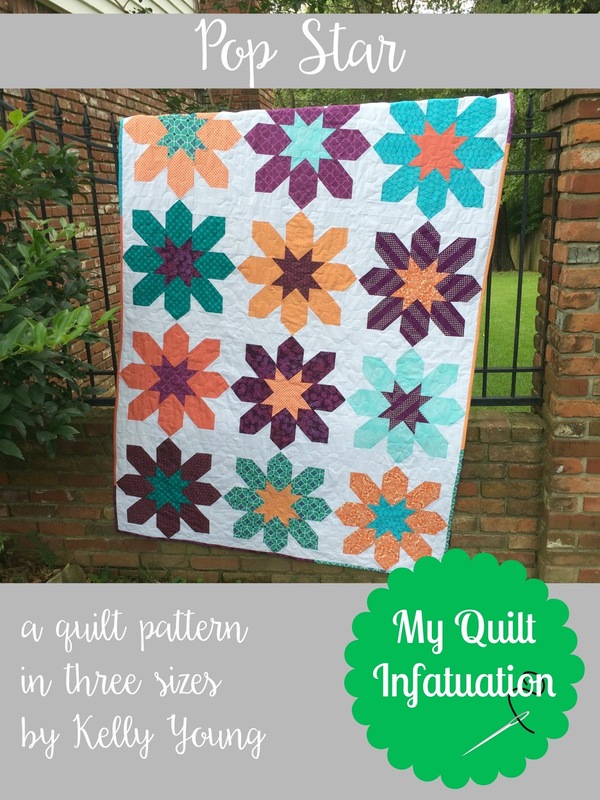 This week, My Quilt Infatuation is party-central! 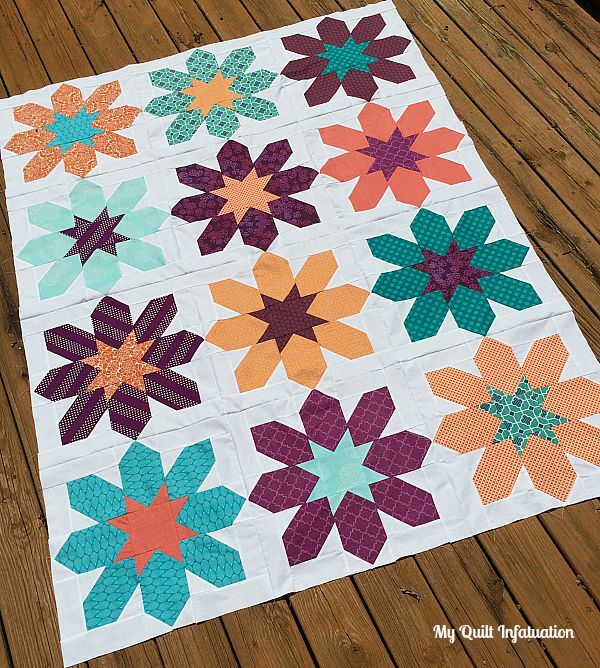 I am also hosting TGIFF this week, and I want to show you my quilt top finish at the party that's just for finishes! So, you'll see it Friday! What I can show you are the pieces for another quilt I've started. 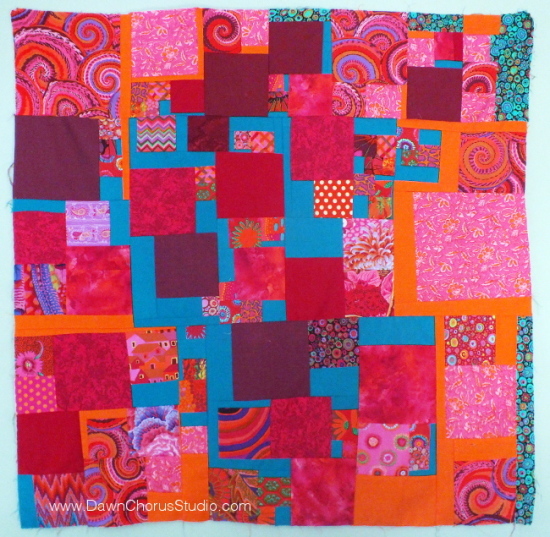 I am making another Pop Star quilt in twin size. My aunt is redecorating a bedroom in her house for her granddaughters when they are there, and she loved the Pop Star pattern. The bedroom already has a rich shade of purple on the walls, so she wanted colors that were similar to the original. 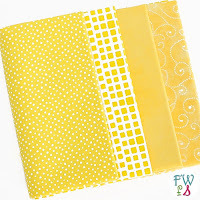 I substituted the orange in my original quilt for yellow, and I think it is going to look just as pretty. I started cutting into my fabrics for this quilt before getting a lovely stacked fabric shot, so you'll have to settle for an in-process photo of my paper plate block sort. This is my favorite method for keeping all of the pieces for one block together. I got the idea a long while ago from Megan at Tales of Ineptitude. 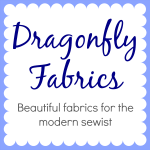 It also helps me pair fabrics together easily and see if a fabric or two needs to be switched around. 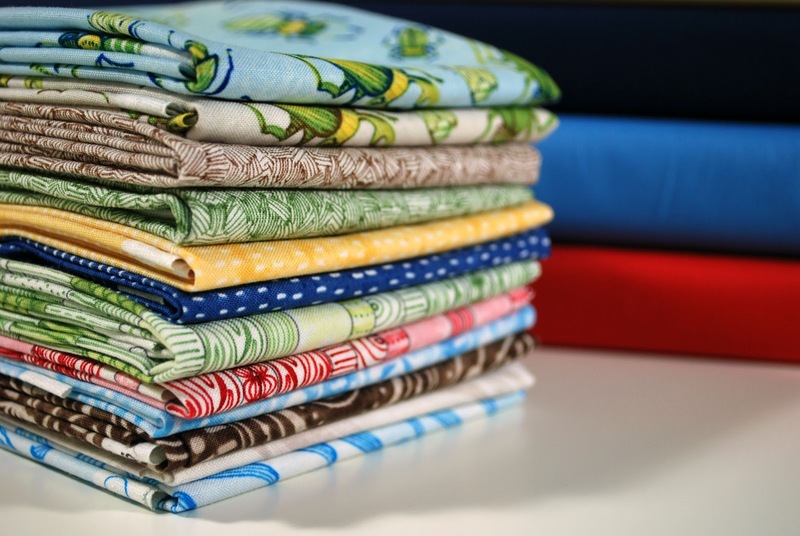 Once everything is all sorted, I can just stack the plates up and know that my cut pieces are exactly where I need them once I start sewing. The plates can be easily stacked on a shelf if I'm working on something different, and of course, they can be used again and again, so it's also a cost effective way to keep things organized. What about you? How do you sort and keep your block pieces together? Okie dokie! Let's get to the amazing highlights from last week...and boy there were some beauties! 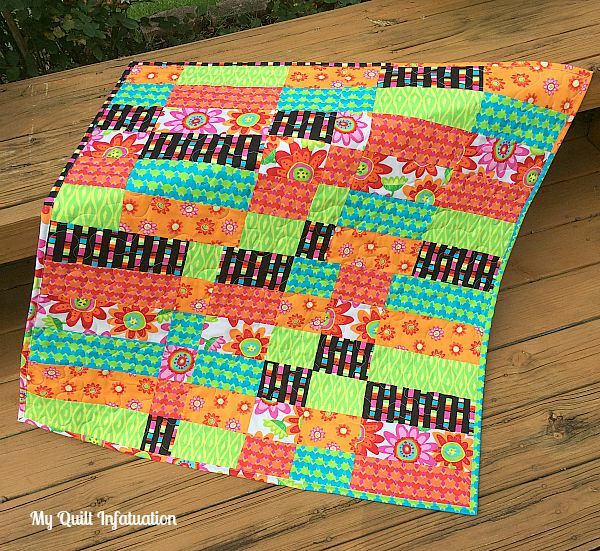 Leanne at Devoted Quilter shared this gorgeous rainbow round robin quilt. 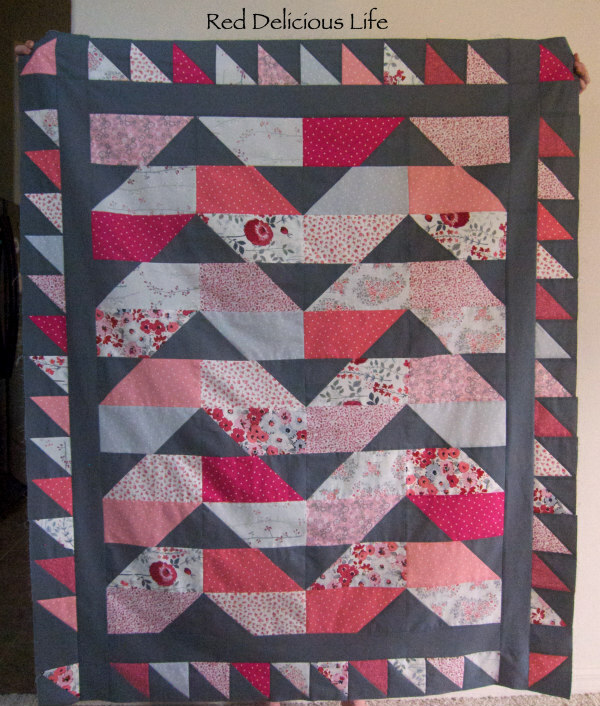 Diana from Red Delicious Life shared this fun pink and gray top for her niece. 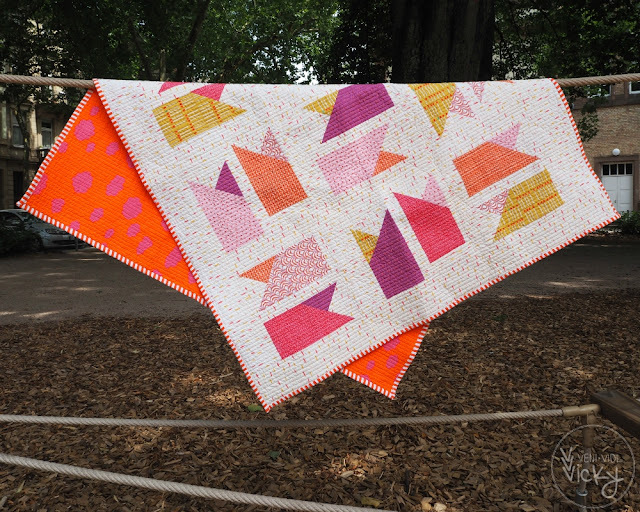 And finally, after months of hard work, Maryse from Maryse Makes Things finally finished her clamshell quilt. Isn't it stunning? Y'all are such a source of inspiration for me week after week! One of my favorite parts of the day is laying in bed at night with my iPad, browsing through all of the links just before going to sleep. I can't wait to see the amazing things you have going on this week! Let's link up! Don't forget to come back with your finishes on Friday for TGIFF! 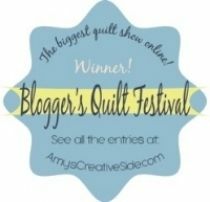 I'll be showing off my latest finished quilt top then! Happy (almost) Thursday, friends! The week has been a great one around here, albeit a busy one! 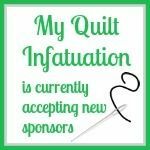 You know, beyond a general acknowledgement of the fact that I'm sewing, my wild thing doesn't make a ton of comments on the quilts I make. Sometimes he'll say "oh, that looks nice, Mom." I think that's about as effusive as a 5th grade boy gets. 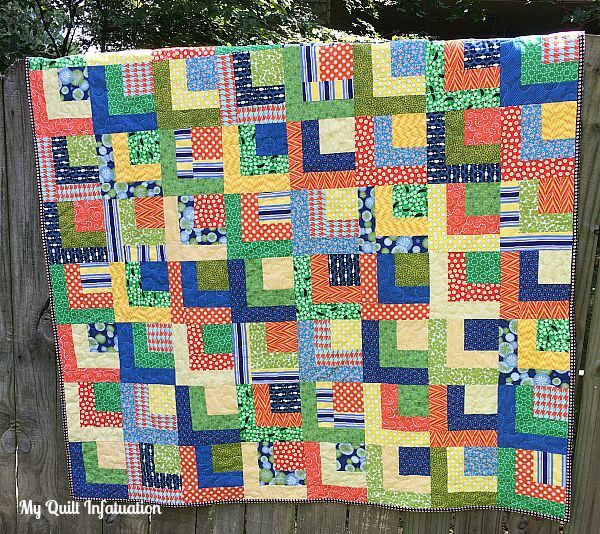 But every now and then, he will ask why I don't make very many quilts for boys. In all honesty, I don't really have a good answer for that, besides the fact that I make quilts with fabrics that I like, and since I am a girl myself, that's usually how things go. 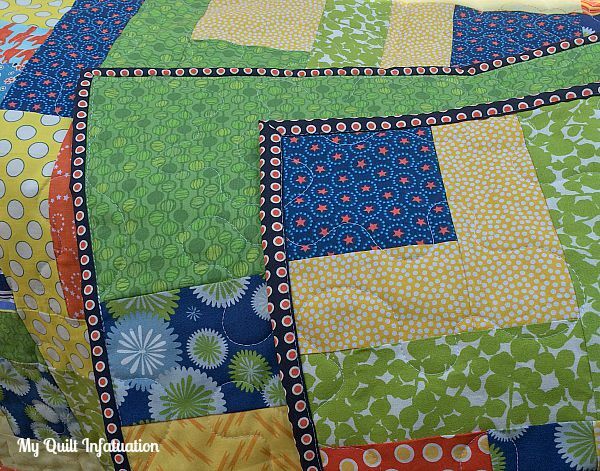 By in large, my custom quilt orders are for girls as well. But when he makes a comment like that, I figure it's time to go ahead and make a quilt that is boyish, or at least gender neutral. 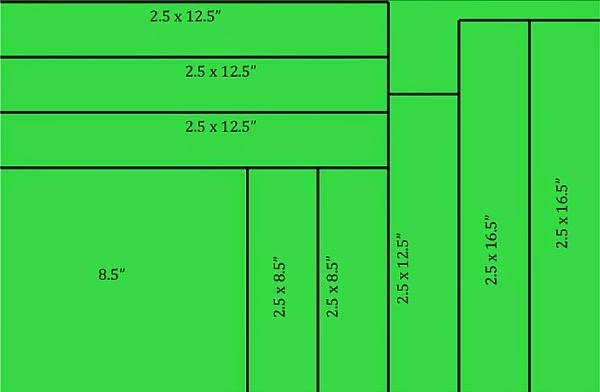 These are the same measurements I used for my Stacked Squares modification, and it works great for this pattern too! 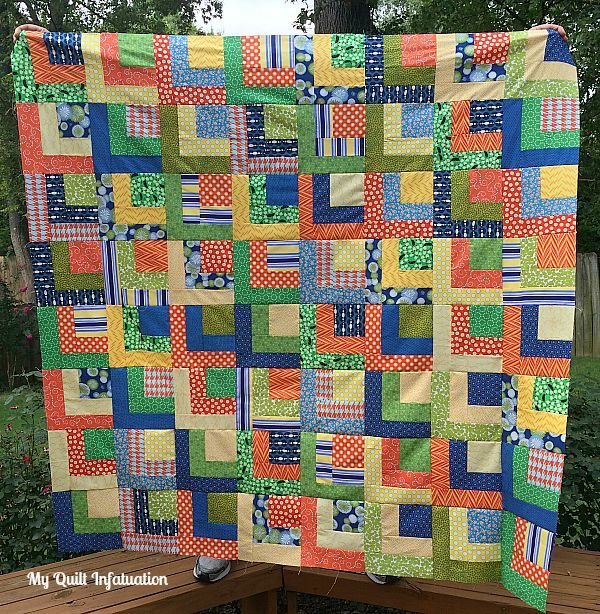 I just sewed the strips around the center square, cut into quarters, and had fun with the layout, orienting all of the squares in one direction. 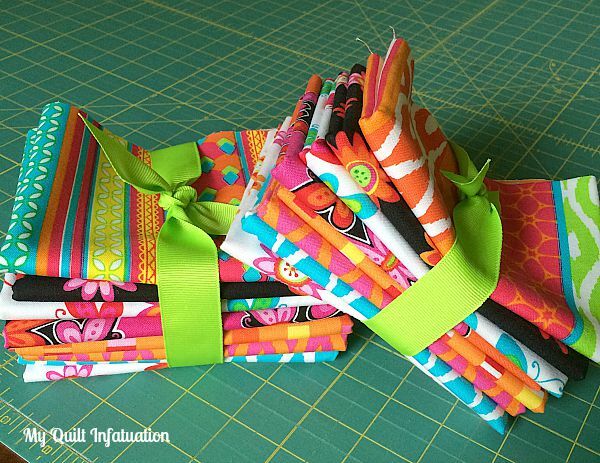 Sewing strips to squares is about as easy as it gets! I also finished up my Pop Star pattern, and it is listed in my Craftsy and Etsy shops! I just love the high drama of these stars. 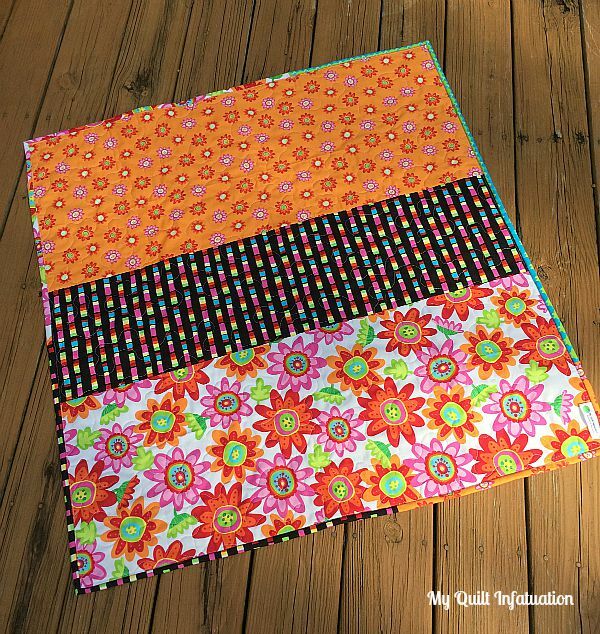 These are 18 inch blocks, so the quilt goes together in a flash, and it perfect for showing off bold prints. 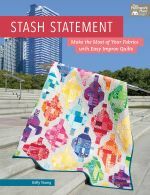 The quilt is written for lap, twin, and queen sizes, and I hope you'll check it out! 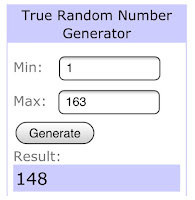 I have one last bit of business to share with you before we get to last week's party features. 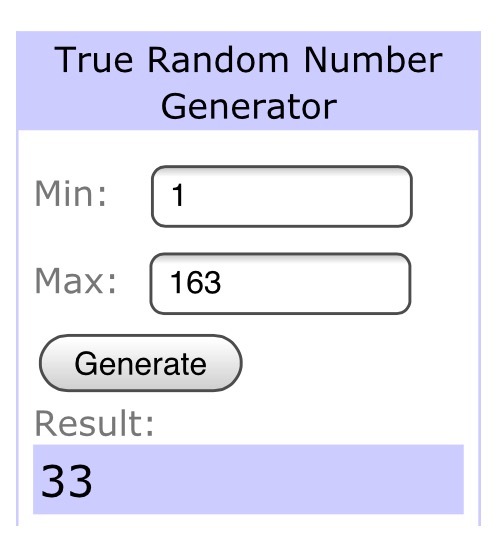 I owe you a winner from last week's giveaway! 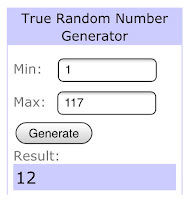 The winner of the gorgeous custom labels is Leanne Parsons, comment number 12. Congratulations, Leanne! 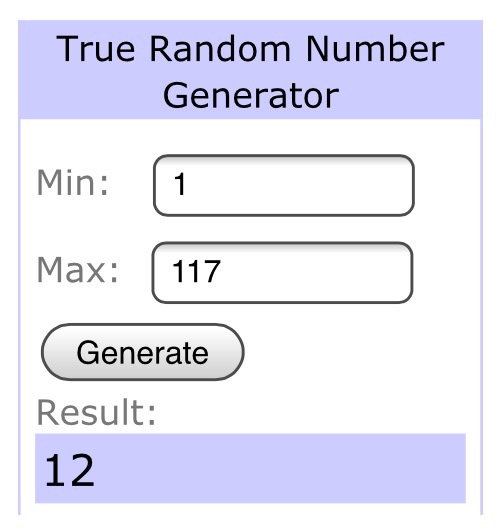 This really is an awesome prize! 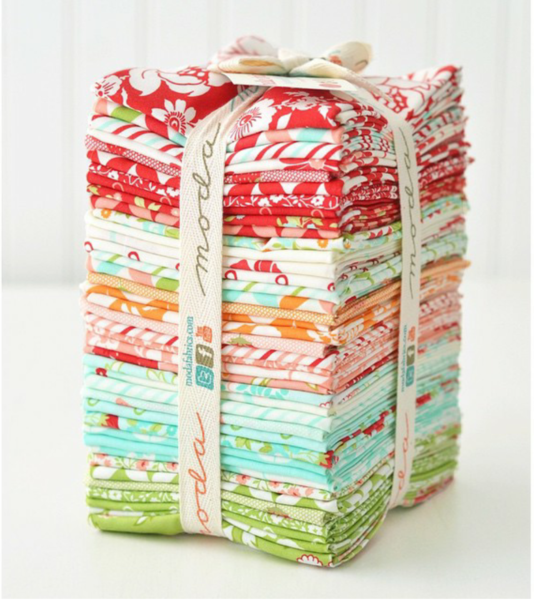 If you didn't win the spool of labels, I hope you'll still check out Finer Ribbon to design some for yourself. 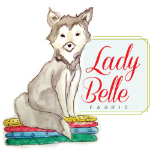 My labels are 2.25 inches wide, and I know that the $98 price tag for that width may seem steep for some (narrower labels are less expensive). I want to point out though, that this is for an entire spool of 1000 labels! That's less than 10 cents per label, which really is the cheapest I found anywhere for full color printing. 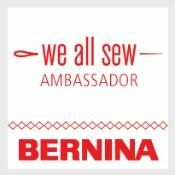 With great quality and customer service to boot, that's unbeatable. Okie dokie! Let's get to last week's party highlights. 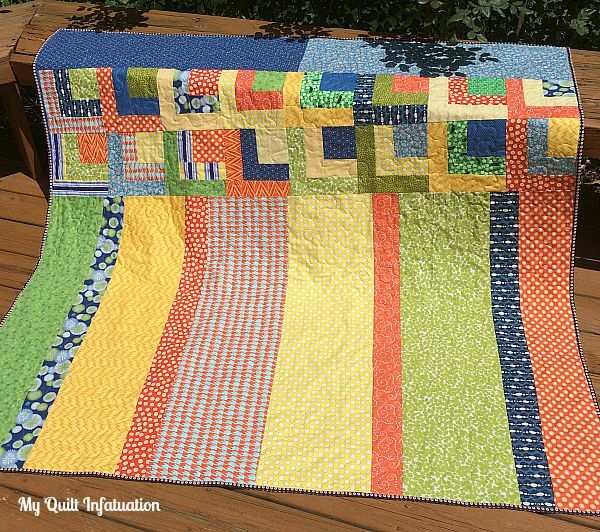 Sandy from Upstairs Hobby Room shared a tutorial for her amazing Summer Breeze block. 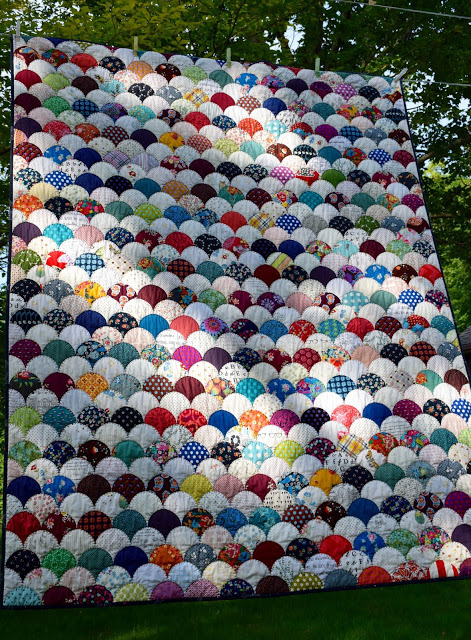 Doesn't it make a spectacular quilt? 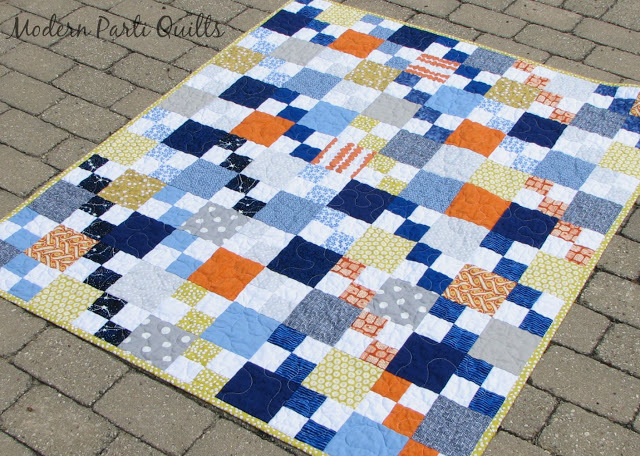 Heather at Modern Parti Quilts linked up this fun Sea Monsters penny patch quilt- perfect for a baby boy! 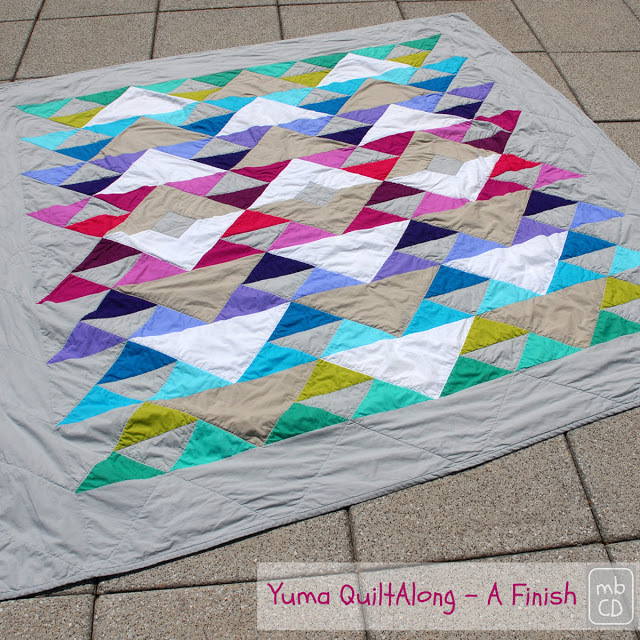 and even though I shared it in its unfinished state, I couldn't resist showing this Yuma quilt by Made by Chrissie D again now that it's finished. It's amazing how the colors and the white just pop right out against the gray...gorgeous! Let's party, y'all! I can't wait to see what awesomeness you share this week! I finished up my Pop Star quilt this weekend, and I can say with certainty that this color palette is one that I will have to use again. I love it! 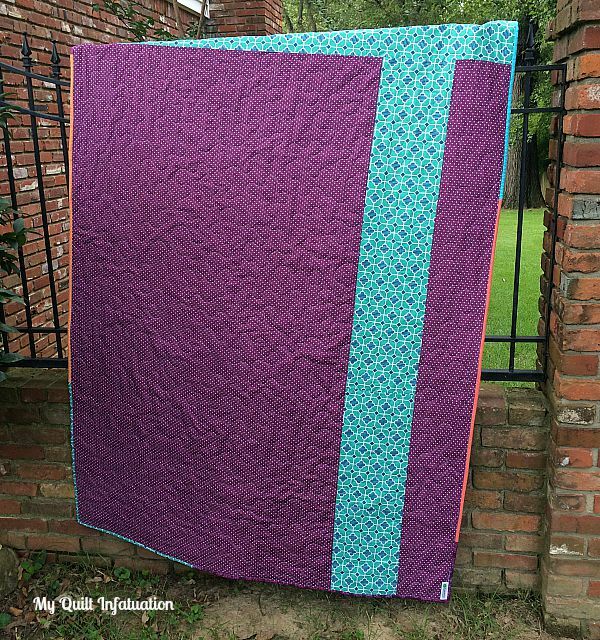 I found the perfect shade of purple polkadot for the backing and added a stripe of the turquoise tile print. Unfortunately, despite the fact that I thought I measured properly, when I basted it, the backing was about two inches too short. AARGH! I had to peel the whole thing off of the floor and figure out a plan. Luckily I had a just enough of the tile print left to add a stripe to the top to make it long enough. Basting is absolutely my least favorite part of the quilting process, and I had to do it twice to fix my mistake, but I must admit that it was a bit of a happy accident. I think the top stripe looks pretty cool! One of my favorite parts of this pattern is the cross shape in the negative space. Plus, the fact that the blocks are 18 inches made this quilt pretty quick and fun to make. 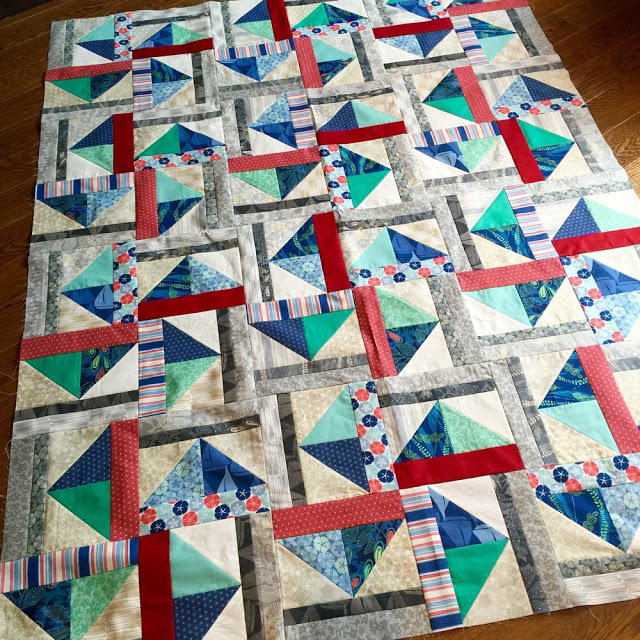 This finished quilt measures 54" x 72." I am madly working on the Pop Star pattern in this size, plus twin and queen sizes, so be on the lookout for it soon! Welcome to NTT! It's back to school week here, which means that my house is very quiet, and considering that I am usually back to school myself, it is also very strange. My wild thing is a big 5th grader this year, and although he was ready for the school year to start, I really wasn't. I've been getting lots of uninterrupted sewing time, but I love having him home during the lazy days of summer. 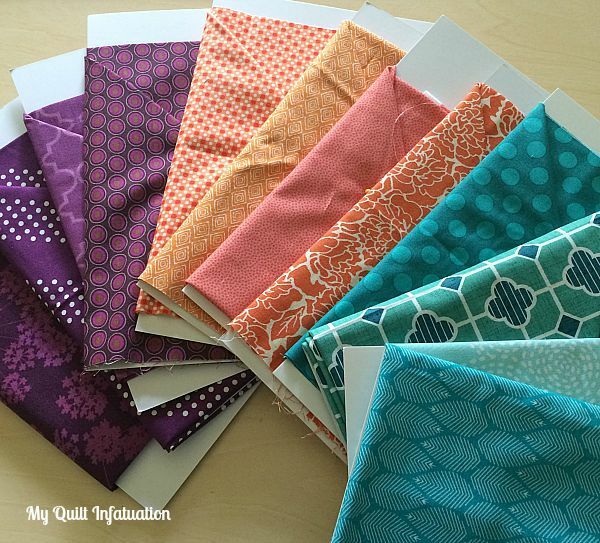 I've been working on a new pattern with these fabrics, and I can't wait to show it to you (soon...very soon). This is a little bit of a different color combo for me, but I'm really loving it. I'm also loving that I have the time lately to actually make the patterns that have been languishing in my sketch book. 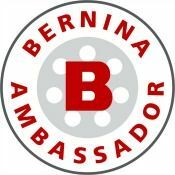 Before we get to last week's features, I owe you TWO winners for the Tango fabric bundles, generously sponsored by Benartex. 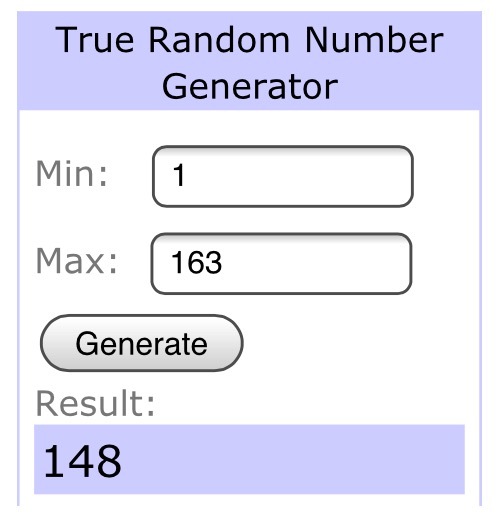 The first winner is comment number 148, Nancy A! The second winner is comment number 33, Little Black Cat Quilting! Congratulations to both of you! 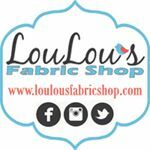 I'll be contacting you by email soon so I can get your fabric to you! Now, let's move onto the awesome features from last week's party! 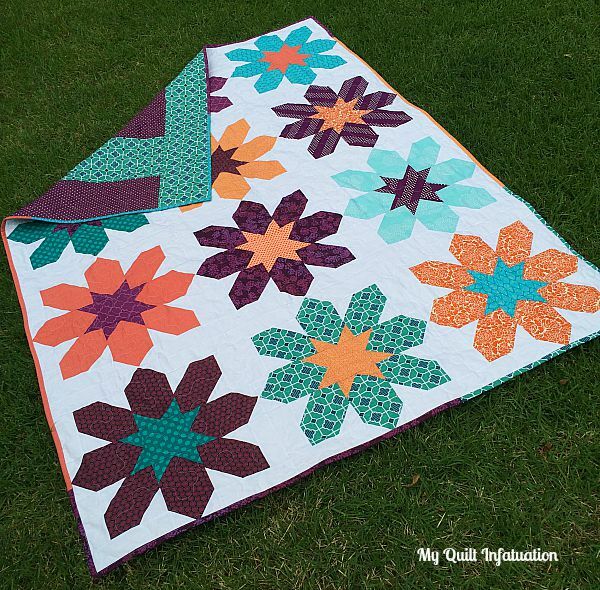 Veni Vidi Vicky shared her Tagged baby quilt. Adorable! 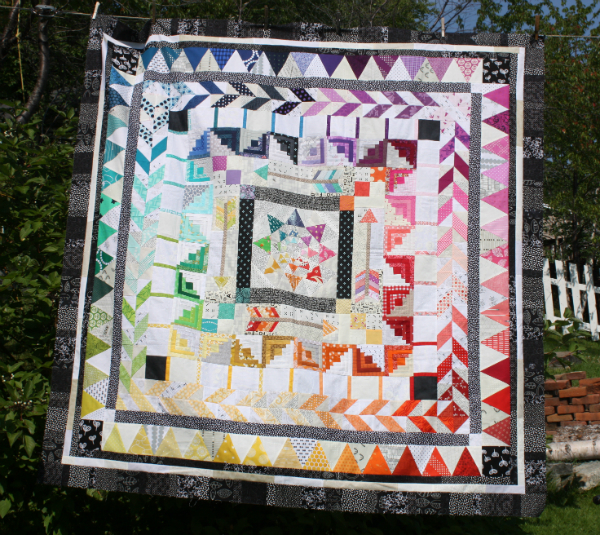 Dawn Chorus Studio linked up this fabulous improv quilt top. The bright colors are amazing! 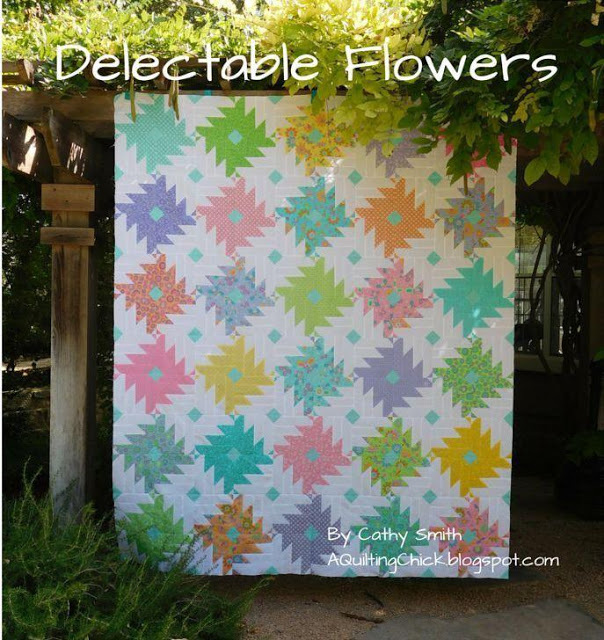 and A Quilting Chick showed off her Delectable Flowers quilt. Gorgeous! Time to show off your projects for this week. Let's do this!